50 pages to document an entire year of memories. Efficient scrapbooking! All pages in your hardcover book are designed and labeled - Just print and add your photos! A CUSTOM cover for you, 4 pages for each month of the year AND an ALL ABOUT ME page! Children feel special when they can carry around a book with their very own name on the cover and the pages are filled with photos of themselves and their loved ones. 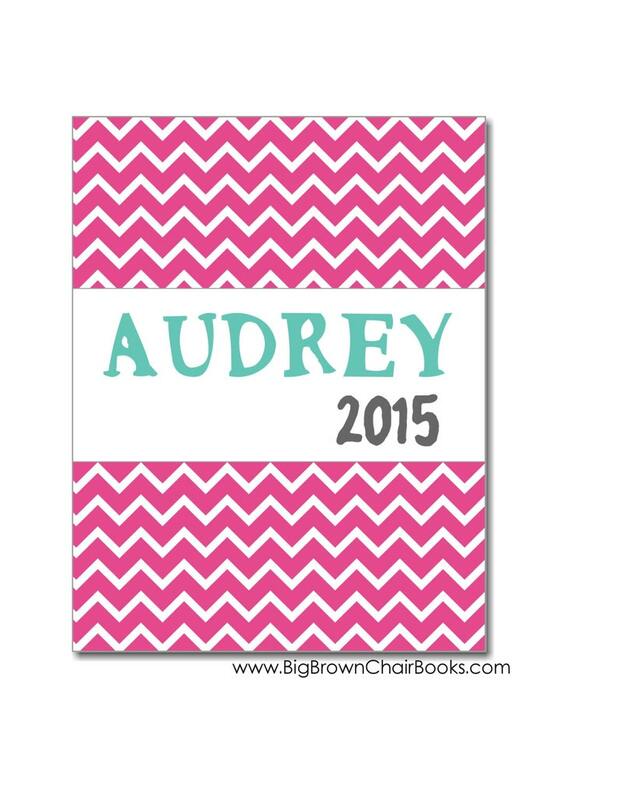 A great gift or a keepsake for mom and dad, grandma and grandpa, to remember the year! Add your photos and your thoughts for each month. Even the kids could attach their own photos and write down their stories or draw a picture of their adventures. A great way to enjoy your memories!